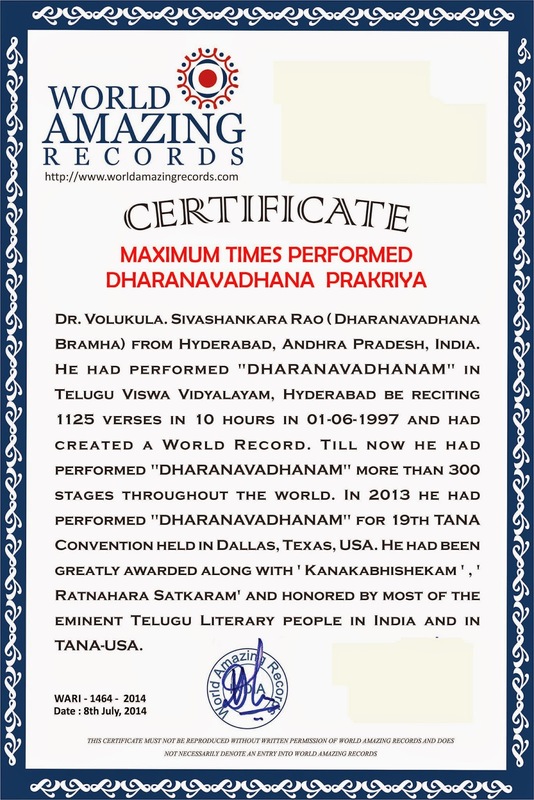 World records achieved so far from 1-May-2014 to till now. 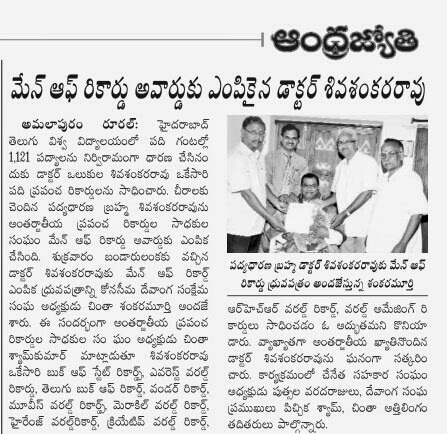 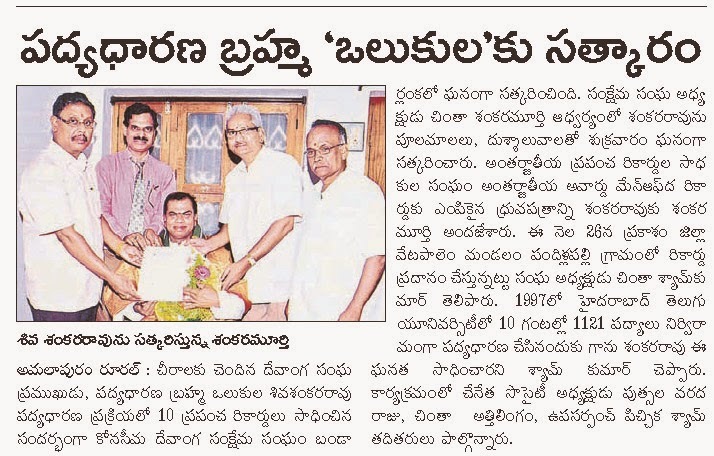 "Kanakabhisheka Ghana puraskara Grahitha", Dr.Volukula Sivasankara Rao, M.A.,Ph.D. 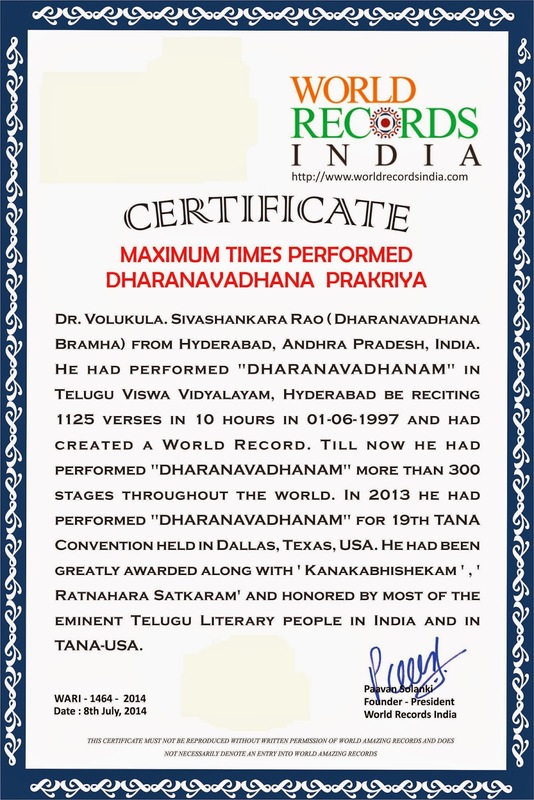 is a Scholar, an Exponent and a Pioneer of an extra ordinary, Innovative and new type of literary feat like "DHARANAVADHANAM" for the first time in the world of Indian Literature.